Power shortages have forced rolling blackouts in Venezuela. 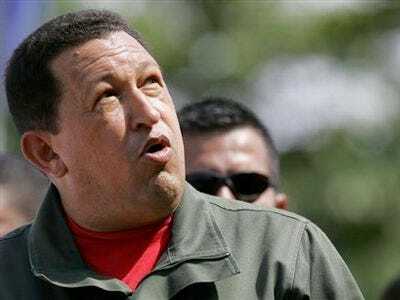 Now they’ve prompted Hugo Chavez to add three days to the official Easter holiday. The measure covers Monday, Tuesday and Wednesday, since the vacation officially starts on Maunday Thursday. Schools usually take the whole week off, but the vacation is extended to factories and the majority of downtown stores. President Chavez denied he was encouraging laziness and sloth, saying Venezuela is entering the important months before water and electricity supplies really begin hurting … if rains do not come. The measure has received immediate rejection from the Confederation of Commerce & Services (Consecomercio) whose president, Fernando Morgado admitted that if the decree is published in the Gaceta Official (Law Gazette), his organisation will comply, even though Consecomercio does not agree with it. What’s not clear: does this include oil production, because if it does, that’s a huge source of supply disruption. It would seem crazy, but then, Chavez is crazy enough, and if the famously inefficient Venezuelan facilities aren’t making money at sky-high energy prices, there’s no reason to keep them running.